Hexagon Umbrella Shade Structures from Superior Shade are ideal for playgrounds, schools, corporate break areas, and any situation where a smaller area needs to be shaded. Providing shade from the blaring sun can reduce air and surface temperatures. 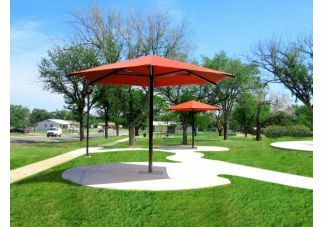 All Hexagon Umbrella Shades feature an 8 ft. high post. Single post features a Glide Elbow that allows you to apply tension to the cover to keep it in place. These shade structures are designed to meet a 93 mph wind load. 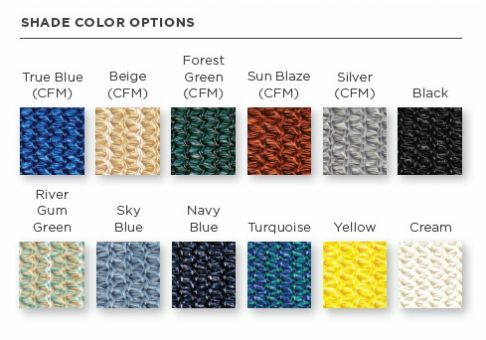 Shade fabric is made of UV-stabilized, high-density polyethylene, which blocks up to 97% of harmful UV rays. 5 PSF live load rating. 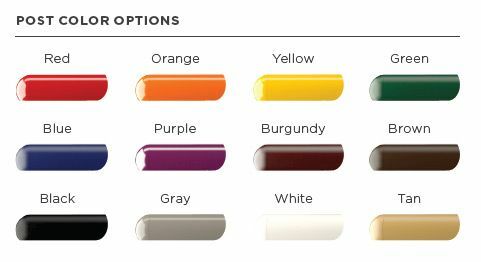 Choose from 12 shade colors and 12 powder-coated post colors.